None of us was born as food critic yet all we do is weighing and rating either the food on our plate or thinking about the next food and the eatery. Here comes a food critique from the quill of an unprofessional food lover. Proving my humble dedication towards this noble profession I even took efforts to get a glimpse of how to be a food critic? Being mean is as normal a behaviour for a "foodie" as wearing a ribeye steak costume for Lady Gaga. Or so I thought. This website proves me wrong. This nine paragraphs are gradually hammering down all my ambitions as I'm not fluent in French, I have never owned a restaurant and I usually don't disguise when ordering my dinner. So, patience my friend, patience. In due time I'll entertain you with lines like Ryan Sutton's: "How’s it taste? Like a savory spiced cider, fortified with shellfish and moss." Lounasravintola in Finnish means Lunch Restaurant, or buffet. One doesn't expect haute cuisine here only some tasty, homey warm food for affordable price. No fuss, no candle light. Such places are found all around the country from roadside cafés to factory canteens serving sweet potato soup, mashed potatoes, meatballs and gravy on an equally "just edible" level. No worries, we completely understand it's food for the masses - and the market dictates. Today we tried the vegetable goulash, the chicken noodle salad and cold baked pumpkin and pickled vegetables. The soup. Goulash soup. Vegetable goulash soup. Let's start with the dictionary. Goulash is a stew or soup of diced pork, lamb, beef, chicken or even mushrooms with paprika powder and other spices. 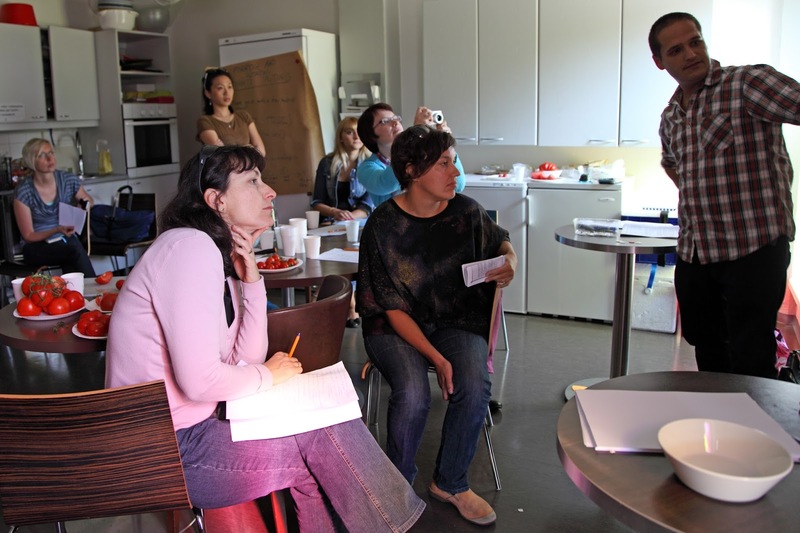 The chef made it clear he followed the rough road to invent something new. He deconstructed the goulash and served only tomato puree whereas peppers in the stock (a must! ), and other vegetables (it's vegetable goulash, no?) were completely missing. What we got, therefore was a cursed, warm gazpacho. Thick tomato puree with abundance of green herbs. Strong chili. Taste of preserving materials. All the mosaic fell into its place: it's two mass products, "Rainbow"or "Pirkka" tomato puree with herbs and tomato puree with chili, mixed in one bowl! The chef added some "exotic" flavour with big chunks of agressively raw onions and garlic in the mix. There was nothing resembling to a goulash in there. Some crème fraîche and blackened croutons were optional to it. So, here's the deal: undoubtedly we found the worst food ever born under the name goulash. In fact, it was baptized as "vegetable goulash", but this particular variation is a gross offense to all vegetarians.Vegetable goulash is nothing new under the Sun. Take the classic English baked beans, for example. Follow the recipe just like Gordon Ramsay says, but forget Worchestersire sauce and sautée onions and add paprika powder and some diced peppers in the beginning. The salad bar didn't offer much joy either. Expect pickled beets, a mound of iceberg salad, tasteless baked pumpkins (from yesterday's Halloween party?) and on top of that, the so called "chicken noodle salad". Spaghetti cut into pieces mixed with a gluey, whitish sauce tasted like vinegar, an abundance of nondescript vegetables and absolutely no traces of chicken. Although it was "normal Kulta Katriina" as the smiling and friendly waitress referred to it, the coffee tasted so foul we had to leave it in the mugs. 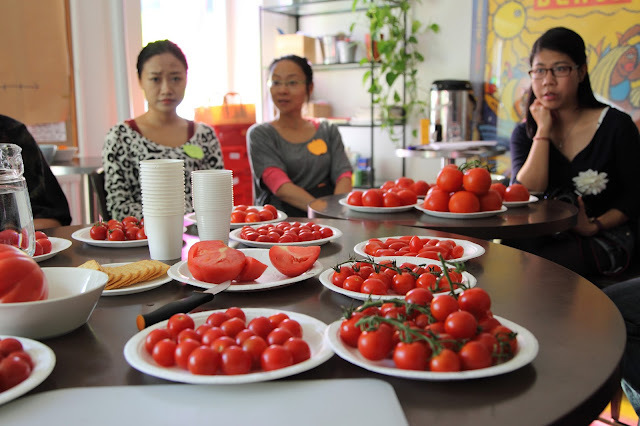 The results of our Tomato Tasting Workshop were published in Facebook, but let's have them here in our blog too! 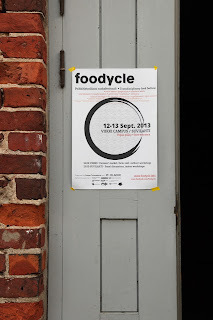 Held between 12-13th of September, we participated in Foodycle - an event organised as a collaboration between Pixelache Helsinki and Ruoan Tulevaisuus (Future of Food) and other partners. 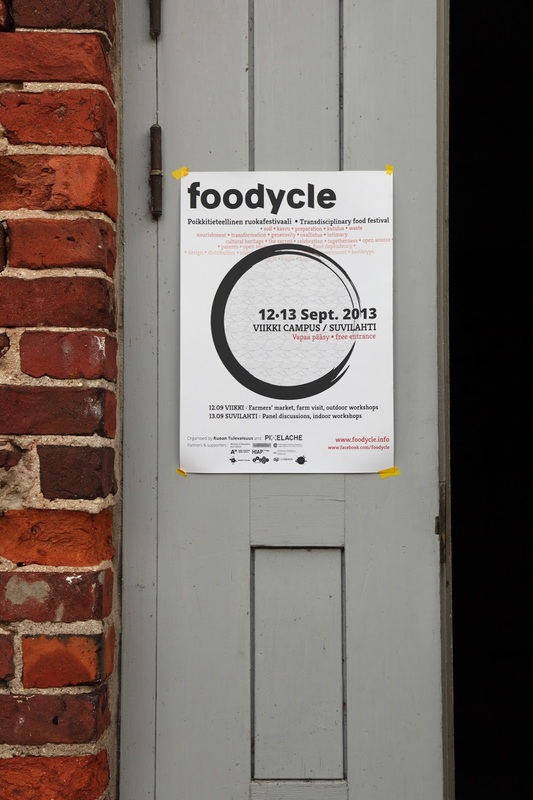 Foodycle is a transdisciplinary and participatory food festival that brings together artists, designers, scientists, grassroots organisations, students, and consumers in general. 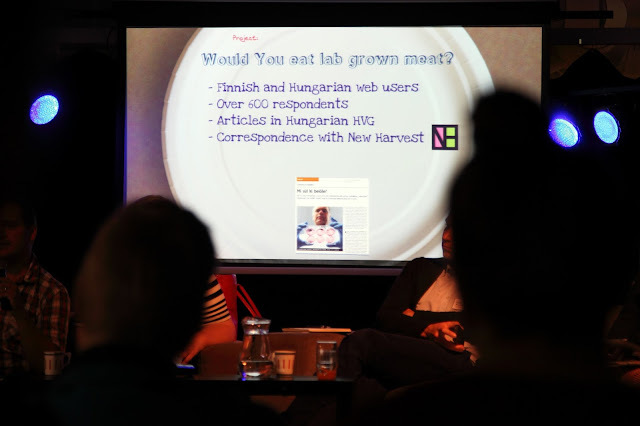 We had a role as organisers of a Tomato Tasting Workshop, participants of a panel discussion with topics within "food & culture" and also gave a short lightning talk about artificial meat. The most precious experience was to meet and share thoughs with other Foodyclers. 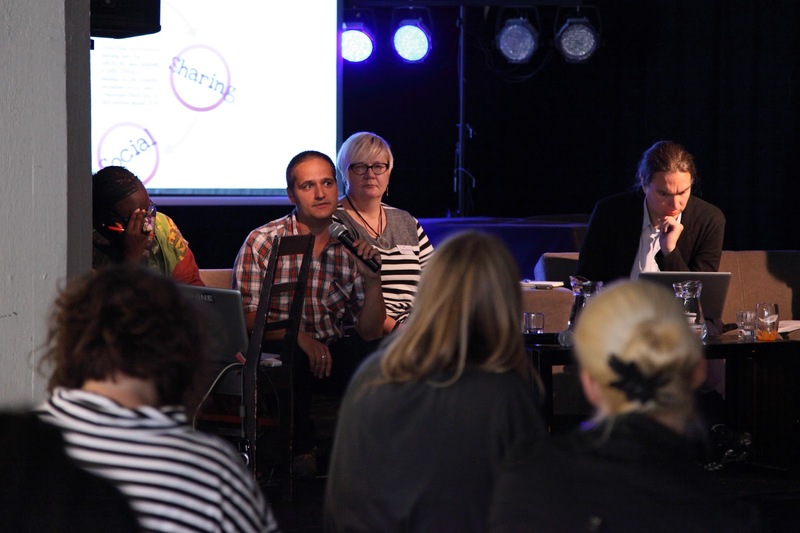 Below some photos of the event - results of the tasting will be coming soon! Thank you for all the tasting participants, Foodycle organisers and Oma Maa for the tasty organic cherry tomatoes. 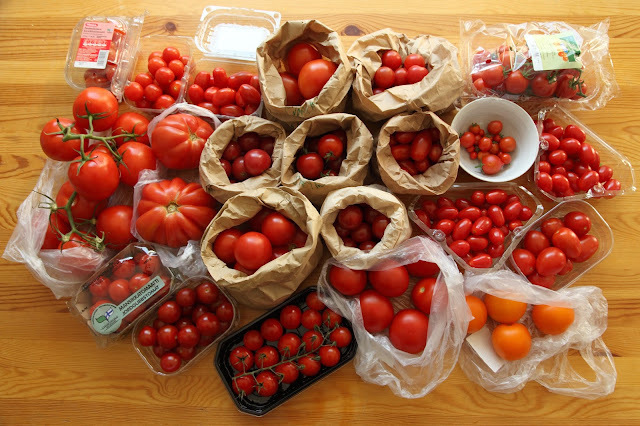 Our tomatoes before tasting came from: Stockmann, Hakaniemi market hall (Luomupuoti Satumarja and A. Lavinto), the out door market in Hakaniemi, Anton & Anton, K-market and Oma Maa in Kallio. 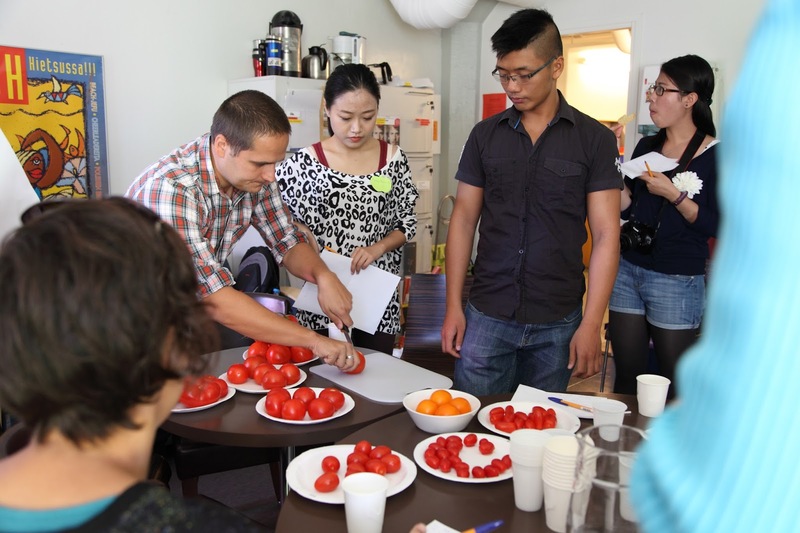 Ferenc cutting tomatoes to be tasted. 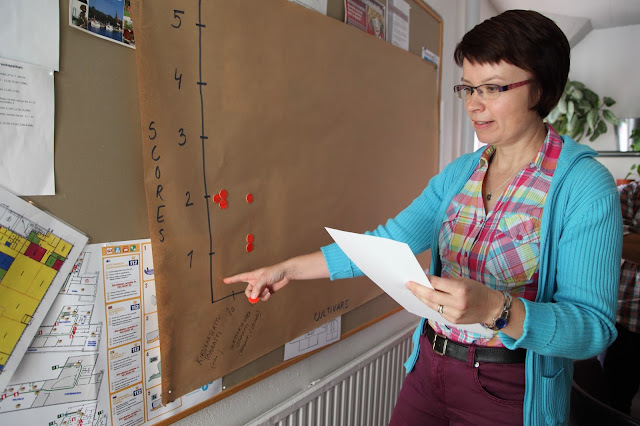 Viewing the results and end discussion. The born of Porridge and Potatos was inspired by our Budapest-based co-operation partner Based on Pig. 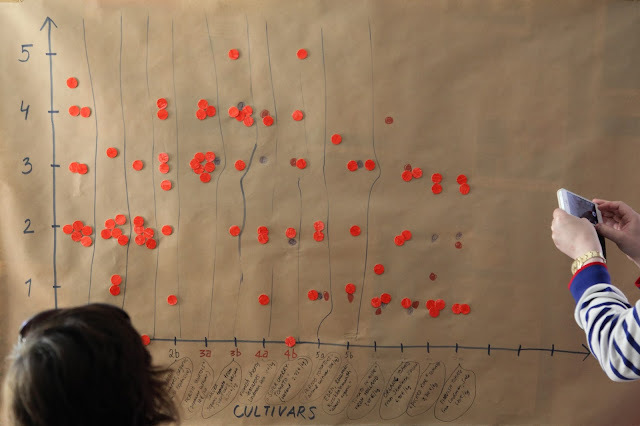 We share a common interest in food and eating habits in urban culture and conduct creative studies in our respective cities and beyond.